A professional since 1991, Redcar’s Mike Dunn has been on the circuit for a number of years now and has recently used his experience to good effect by solidly improving his ranking position over the last few years. As well as his playing career, Mike has also been involved with the management of the sport during recent seasons as a board member of the WPBSA. The two best runs of Mike’s his career before 2008/9 both had one thing in common as both were ended by Welshman Matthew Stevens. Mike achieved a lifelong ambition in 2002 by qualifying for the Crucible with a 10-9 win over Billy Snaddon, before losing to Stevens 10-6 in round one. Three years later in Malta, Mike qualified for the TV stages again and with a 5-0 whitewash of David Gray went one step further as he reached the last 16 for the first time. Again though it was Stevens who would end his run, this time with a 5-3 win. 2008/9 was another strong year for Mike as he continued his progress up the rankings and moved into the fringes of the top 32 on the one-year list. 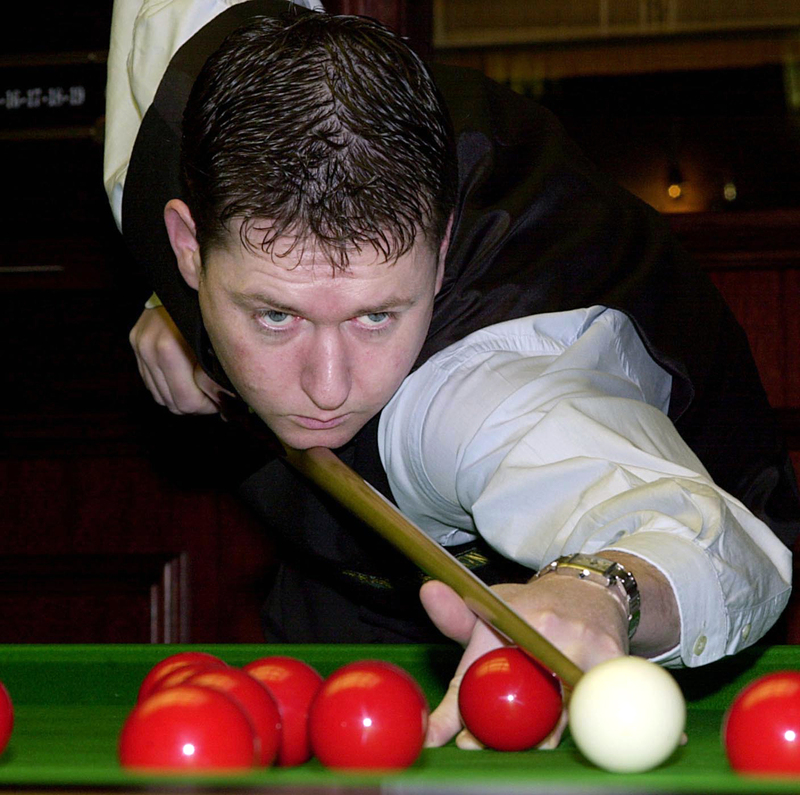 His best showing came at the Bahrain Championship as he not only defeated Joe Delaney and Gerard Greene to reach the TV stages, but then went on to beat local wildcard Ahmed Aseeri and dramatically world number three Shaun Murphy to reach the last 16 of an event for only the second time in his career. Though his run was brought to an end in the next round by Barry Hawkins, he continued to win his opening matches for the rest of the season, notably qualifying for the TV stages of the Welsh Open before losing out to Graeme Dott 5-3. Although Mike was not to enjoy quite the consistency that he did during the previous season, he was able to win four of his six opening round matches to move up to a career high position of 33 in the rankings, narrowly missing out on a spot in the top 32 for the first time. His best runs came at the UK Championship and China Open tournaments where he won two matches in each to qualify, but could not quite do enough against the top 16 players to go further. The 2010/11 season saw Mike get off to a slow start during the initial PTC events but last 32 appearances in both the Shanghai Masters and the World Open tournaments were enough to see him move up into the world’s top 32 for the first time in his career. It was however to prove a short spell there as a 9-1 defeat to Patrick Wallace in qualifying for the UK Championship coupled with further early exits during the PTC saw him drop to 35th at the second cut-off. 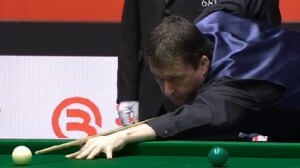 Further early defeats in qualifying for the German Masters and Welsh Open tournaments saw him drop further to 38th following the third revision. Mike was though to enjoy a stronger finish to the season as he won his opening matches in both the China Open and World Championship qualifiers, dramatically defeating dangerous amateur Sam Baird in the latter, 10-9 on the final black in an enthralling match. 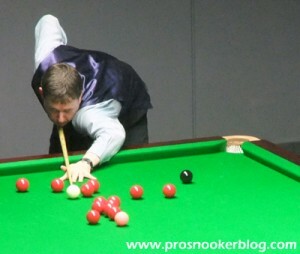 Mike experienced a tough start to the 2011/12 season as he suffered from the effects of kidney stones which forced him to spend several weeks in hospital with the inevitable consequence that his snooker form was to be affected. Having lost 6-0 to Xiao Guodong in qualifying for the UK Championship, the situation looked bleak for Mike but his fortunes were to change at the PTC9 event in Antwerp where he made it through to the last 16, before at the German Masters qualifiers he was able to compile his first competitive 147 break on his way to the venue stages. The second half of Mike’s season was to be unremarkable as he failed to make it to a further venue, losing in the final qualifying rounds of both the Haikou World Open and Welsh Open, while also losing his opening World Championship match 10-6 to David Gilbert. This result meant that Mike would finish the season ranked outside of the top 48 in 49th place. Mike’s poor form at the end of the previous campaign was to carry through into the start of 2012/13, as he lost his first 15 matches of the campaign, before breaking his duck at the last event of 2012 against Sam Baird. Though he was not yet at his best form, wins against Liam Highfield at the 2013 China Open and Welsh Open qualifiers ensured that Mike was able to remain on tour for 2013/14 as a member of the world’s top 64. 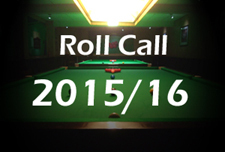 Mike began the 2013/14 season with a new cue and was to make a strong start by successfully winning three matches to qualify for the final stages of the Australian Goldfields Open, the first from 4-0 down to amateur Saqib Nasir. Though he was also able to repeat the feat at the Shanghai Masters later in the summer, Mike subsequently began to find wins harder to come by, particularly during the European Tour events, which offered another potential route onto the tour for next season. A remarkable breakthrough was to come at the China Open however, as having stayed on in China for the previous month from the start of the Haikou World Open, he embarked upon what would be a career-best semi-final run in Beijing to retain his tour place. 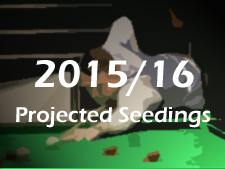 Having qualified earlier in the year with victory against Tom Ford, he then defeated Peter Lines, Tian Pengfei, Craig Steadman and most surprisingly Mark Selby to reach the last four, before he ran out of steam against eventual champion Ding Junhui. By winning £21,000 however, he had done more than enough to ensure that he would finish the season ranked up inside the world’s top 64 and retain his place on tour for at least one more season. Although he was not able to make it to another ranking event semi-final in 2014/15, on the whole his season was to be an improvement as he reached the last 32 of the China Open, as well as the final qualifying round of both the Australian Goldfields Open and Shanghai Masters early in the season. His best result at an Asian Tour event was to be a last 16 run at AT2, while he ended the season winning one match against Itaro Santos at the World Championship qualifiers, before losing 10-7. Mike finished the season ranked up in 42nd position.